Projects ranging from single-family docks or boat lift installations, to commercial marinas, to housepads in wetlands, to public boat ramps and docking facilities, as well as many other activities in wetlands or surface waters require an Environmental Resource Permit (ERP) from either Florida Department of Environmental Protection or the appropriate Water Management District. Application is made to the appropriate state agency and to the U.S. Army Corps of Engineers for the federal track. Depending upon the complexity of the project, processing time can take from 30 days up to several years. Our goal is always to submit as complete an application as possible to minimize the processing time, to maintain consistent communication with the agencies to help expedite processing time, and to provide information to both client and agencies in a timely fashion. If your project qualifies for an exemption from environmental regulation, you may still need an exemption letter from the state agencies identifying that exemption before you can obtain a local building permit. FDEP has an online portal for self-certification for such projects, and we can help guide you through that process or complete it on your behalf. More complex permitting requires a broad and diverse understanding of the various statutory layers regulating activities. Ardea Environmental Consultants have decades-worth of experience in this realm, as well as former regulatory agency employee perspective. We also provide supplemental environmental resource investigations, such as seagrass surveys, wetland delineations, UMAM analysis, and mitigation/monitoring plans. 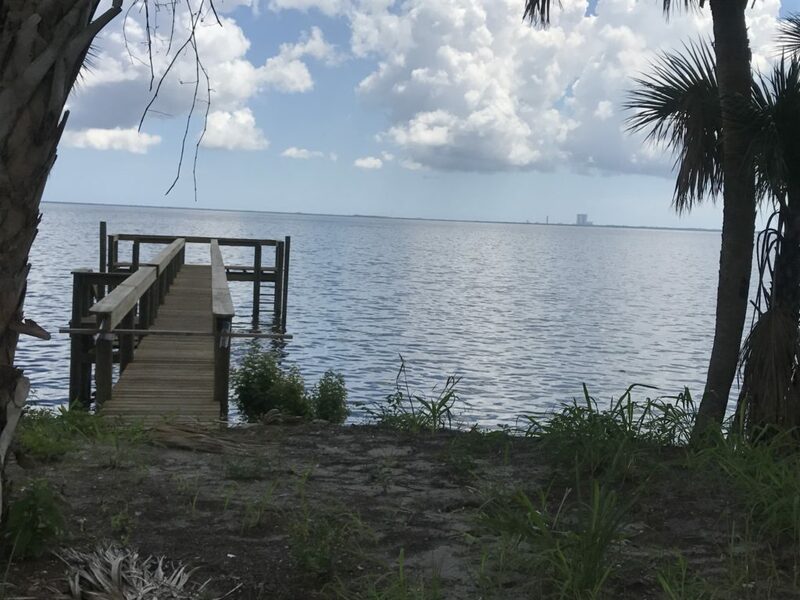 The silhouette of the VAB at Kennedy Space Center is visible from this small dock in the Indian River Lagoon.